Roslyn, Washington was a coal mining town located at the eastern base of the Cascade Mountains. The first commercial operations in Roslyn were initiated in 1886 by Logan M. Bullet, Vice President of the Northern Pacific Coal Company, (a subsidiary of the Northern Pacific Railroad). Within two years the town’s population grew to over 1,000 as miners from the eastern United States and Europe were attracted by the work the coal company offered. Eventually the tensions eased and the black and white residents of Roslyn came to an understanding. When the entire community needed a school house, the black citizens of Roslyn offered up their church. After the strike was broken, white miners slowly returned to work and reconciled themselves to working along side black miners. The shared dangers of late 19th Century coal mining helped forge a bond between these groups. The demand for coal also meant expansion of mining in the region which in turn generated considerable work and reduced the sense of competition for jobs between the miners. Finally, when the United Mine Workers organized the workers, black and white miners entered the union as equals. Roslyn’s multi-ethnic citizens created a vibrant community as the town’s population continued to grow, peaking in 1930 at slightly more than 4,000 residents. Several black fraternal organizations were created in Roslyn including the first Prince Hall Masonic Lodge in Washington Territory and a lodge of the Knights of Pythias. Black women in Roslyn joined such organizations as the Eastern Star and the Daughters of Tabernacle. African Americans also formed both Baptist and African Methodist Episcopal (AME) churches. The churches and fraternal organizations provided the community care during illness, a guarantee of burial rights, and an active social life which included band concerts, speakers, and benefits. The last coal mine in the area shut down in 1963. The black population, however, began to decline in the 1920s. By the 1960s, the town’s population dwindled to just over 1,000 and was overwhelmingly white. 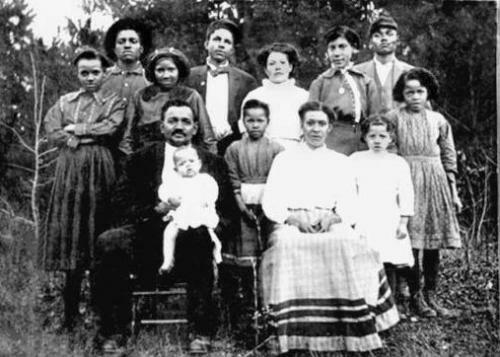 By the early 1970s only one African American family remained in the town, the Cravens. Ironically in 1976, William Craven was elected mayor of Roslyn and thus became the first black mayor in the history of Washington. Craven served as mayor until 1980. Through Open Eyes (Ninety-Five Years of Black History in Roslyn, Washington) http://epl.eburg.com/Roslyn/openeyes.html; Quintard Taylor, “A History of Blacks in the Pacific Northwest, 1788-1970,” Ph.D. Dissertation, University of Minnesota, 1977.